A searing and dramatic examination of two generations of urban outlaws struggling to stay afloat in the lower depths. East New York, Brooklyn: Nina’s estranged father, a former black revolutionary, reappears after many years to obtain a piece of her deceased mother’s legacy. A powerful story of one woman’s journey from a brutal existence to her own liberation, Sunset Baby is an energetic, daring look at the point where the personal and political collide. Primal Forces Productions, the new edgy and innovative production company, will present the southeastern premiere of Dominique Morisseau’s Sunset Baby. The production will run from November 29th through December 21st at the Andrew’s Living Arts Studio in Fort Lauderdale. “In continuing our mission to present new works about the counterculture of the 1960s and 1970s, we have found this powder keg of a play that premiered off-Broadway last December,” says Primal Forces producer Keith Garsson. “In Sunset Baby, a former black activist returns to Brooklyn to search for his daughter…but learns a hard lesson about the ‘Sins of the Father’. We have three of the most talented actors in South Florida playing ‘urban outlaws’ whose explosive confrontations lead to some intriguing secrets revealed while also offering a very entertaining ride through America’s haunted past. Garsson has assembled an award winning cast to interpret these complicated and compelling characters. John Archie, Makeba Pace, and Ethan Henry will take on the roles of Kenyatta Shakur, his daughter Nina, and her partner Damon. “I was told (the play) is derived from one of 2Pac’s poems which I thought was so stimulating,” says Pace. “The message of this play is survival by any means necessary. A woman who was born to revolutionize ends up on a struggling path… trying to survive on the streets while selling drugs and robbing people. 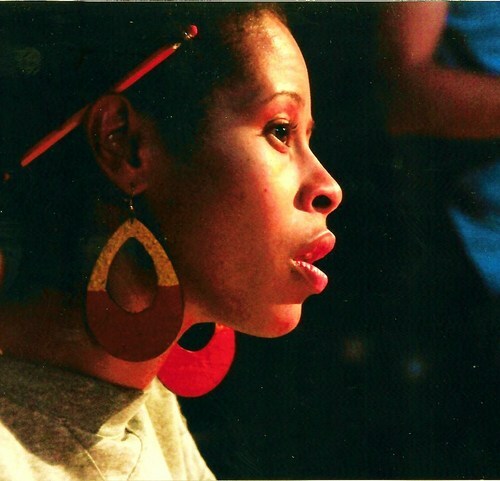 Yet somewhere in spite of all that, she still has a dream.” Pace was recently seen in The M Ensemble production of Knock me a Kiss and in the Fort Myers Repertory Company’s production of Clybourne Park. Silver Palm winner and two-time Carbonell nominee Ethan Henry was recently named Best Supporting Actor by the Miami New Times for his performance in the Adrienne Arsht Center/University of Miami Theatre Department’s production of Metamorphoses. 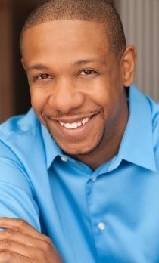 John Archie is a member of Actors’ Equity and SAG-AFTRA, whose credits include film, TV, commercials, voice-overs, and print ads. His theatre credits include Driving Miss Daisy, The Whipping Man, Permanent Collection, Topdog/Underdog, Lobby Hero, Buffalo Soldier, The Meeting, and A Lesson Before Dying. John is the recipient of Carbonell, Curtain Up, and Silver Palm Awards. 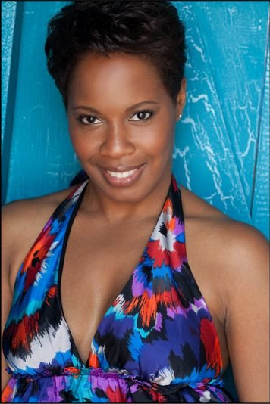 Writer and actress Dominique Morisseau is an alumnus of the Public Theater Emerging Writer’s Group, the Women’s Project Playwrights Lab, and Lark Playwrights’ Workshop. Among her playwriting credits are: Detroit ’67, for which she was awarded the 2014 Edward M. Kennedy Prize for Drama Inspired By American History. She is a Jane Chambers Playwriting Award honoree, a two-time NAACP Image Award recipient, a runner-up for the Princess Grace Award, a recipient of the Elizabeth George commission from South Coast Rep, a commendation honoree for the Primus Prize by the American Theatre Critics Association, winner of the Barrie and Bernice Stavis Playwriting Award, the Weissberger Award for Playwriting, the U of M – Detroit Center Emerging Leader Award, and a Lark/PoNY (Playwrights of New York) Fellow. Tickets for Sunset Baby are $25 ($20 for preview performances ) and can be purchased on line at http://www.primalforcesproductions.com , or by phone at 866-811-4111. Andrews Living Arts Studio is located at 23 NW Fifth Street in Fort Lauderdale. Primal Forces Productions is offering complimentary tickets to Sunset Baby for members of Theatre League, Actor’s Equity, SAG, AFTRA and students and their guests.